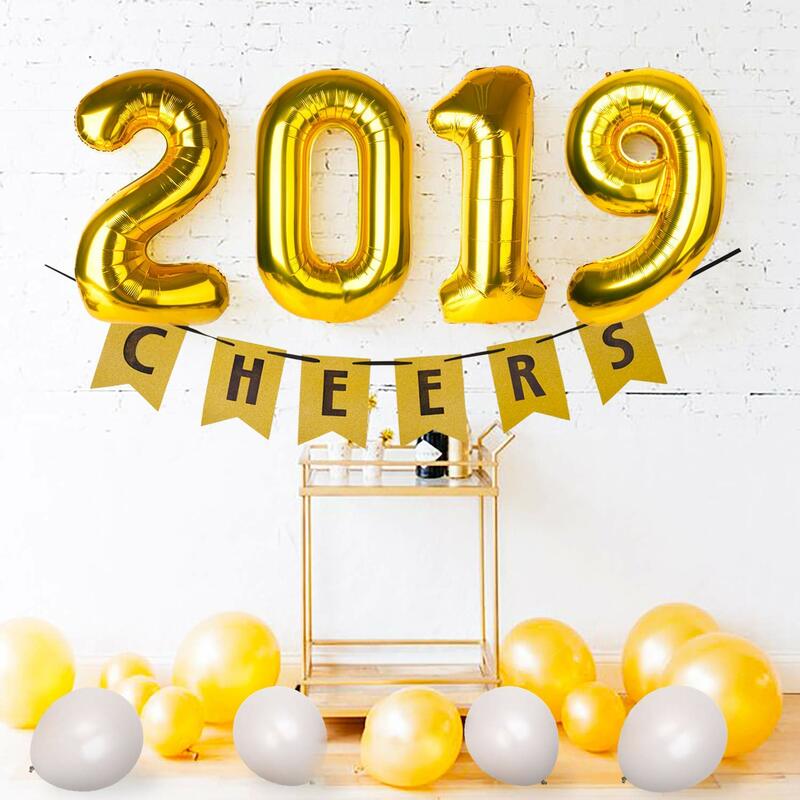 I can hardly believe it’s almost the end of 2018 and time to start planning another round of New Year’s Eve celebrations! They don’t call it the party of the year for nothing and it's a perfect excuse to go all out with party decorations! 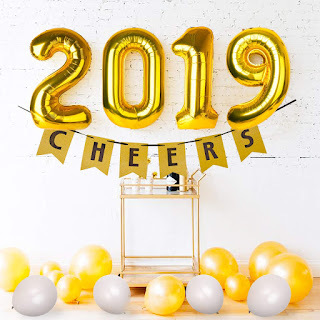 Read on for my favorite ways to welcome in 2019 and hopefully make your New Year’s Eve party memorable! If you buy no other decorations, 2019 balloons are a must! 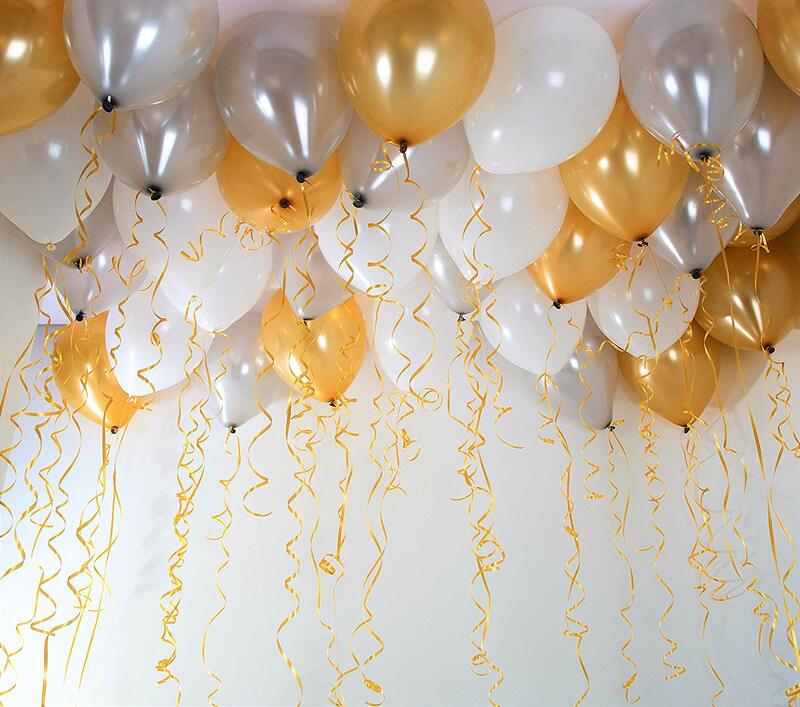 They look amazing in front of a gold or silver glitter/fringe curtain and they come in so many different colors, you can choose whichever ones suit your party theme best! 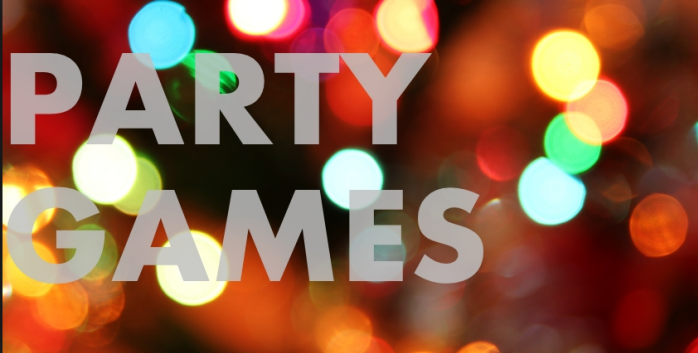 If you’re throwing the party of the year, it needs to be impressive! 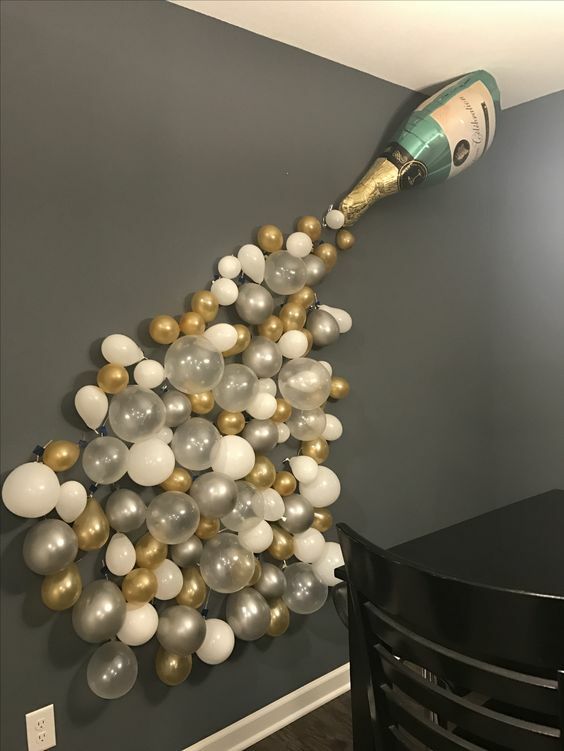 So I love the idea of creating a balloon ceiling. 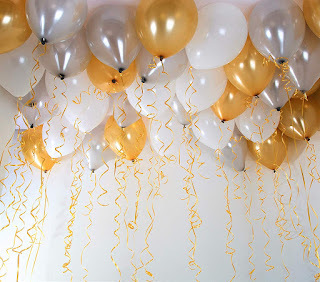 And it's SO easy to do – inflate some balloons of your color choice ( I love these gold, white and black or gold silver and black with confetti) with helium, tie a medium length of balloon ribbon to each one and let it float up to the ceiling until the whole surface is covered! It will look really stylish and impressive and it couldn’t be easier to do. 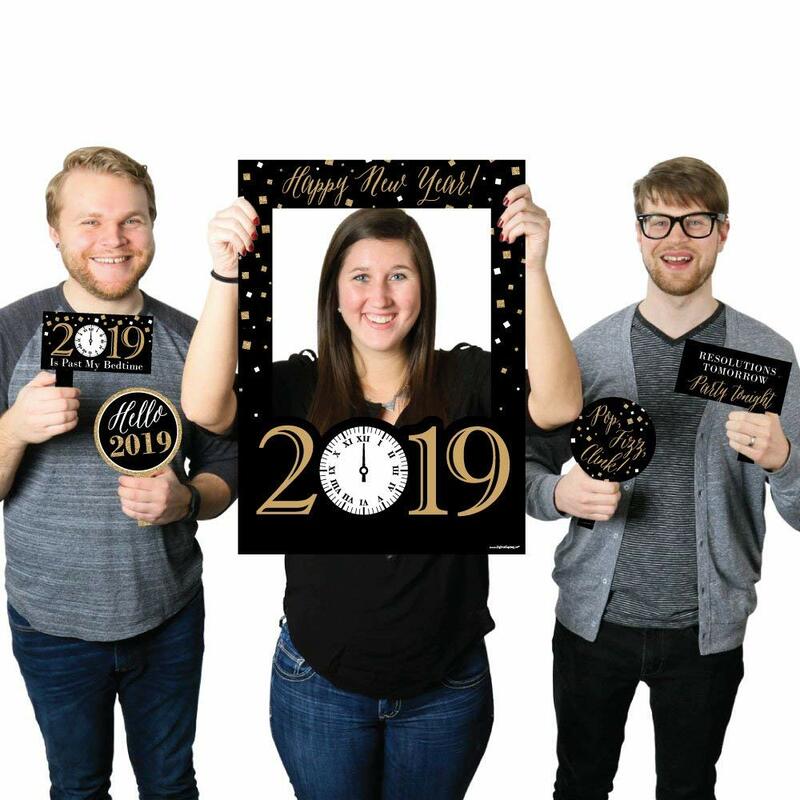 Photo booths are all the rage and taking some silly snaps is the perfect way to pass the time until that ball drops! I love this New Year’s Eve photo booth frame and this added photo prop set! 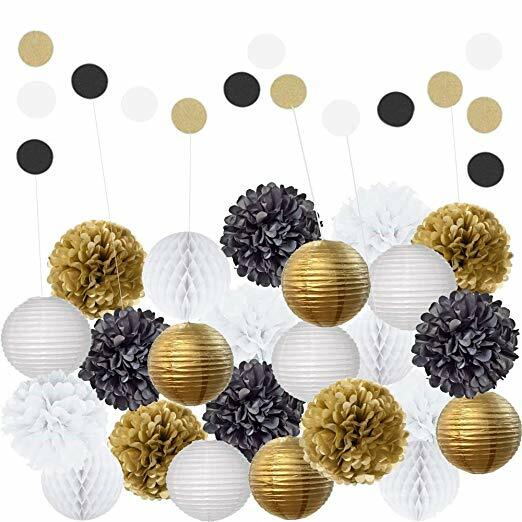 The most simple decorations are often the most stylish and these pom poms, lanterns, and ball decorations are perfect for a gold, white and black theme! Check out this MadLibs style New Year's Resolutions Game. And this great conversation starter game. Need something for the younger kids? Check out this page for a downloadable coloring and activity packet or this one for more activity and coloring pages. So what are your plans for New Year's Eve? Leave a comment and let me know! Disclaimer: "All opinions are 100% honest and my own." 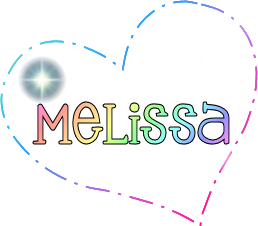 Buying via these links allows my site to get a % of the sale at no cost to you.